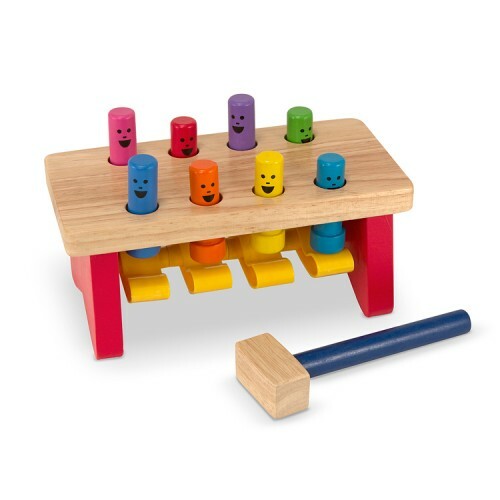 The deluxe edition of the popular Pound a Peg by Melissa & Doug is an adorable toddler activity toy featuring smiling pegs and a solid wooden pounding bench. Pound, play, smile! 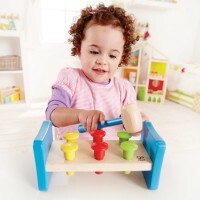 The Deluxe Pound a Peg Wooden Toy from Melissa & Doug is an adorable activity toy featuring smiling pegs and a solid wooden pounding bench. 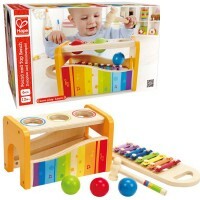 This manipulative game from Educational Toys Planet is a great way for curious babies and toddlers to fine tune motor skills, problem solving skills, and dexterity. 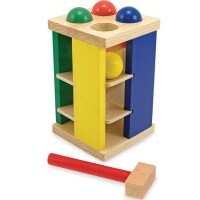 The brightly colored wooden pegs go up and down as you hit them with the kid-sized mallet. 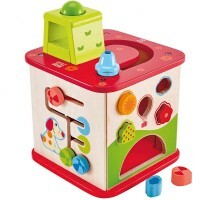 The entire set is made out of durable wood and child-safe paints and also features smooth edges, making the Deluxe Pound a Peg Wooden Toy safe for even the youngest children. 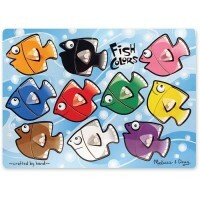 Melissa & Doug use sturdy, top quality materials in all their toys making this peg set a top notch toddler toy. 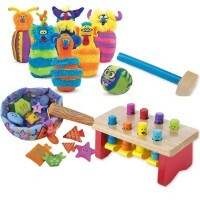 Learn your colors, enhance physical development, and have some fun with this happy, smiley set. Pound away! 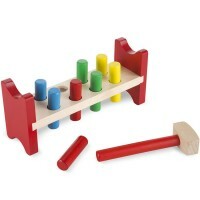 Write your own review of Deluxe Pound a Peg Wooden Toy. 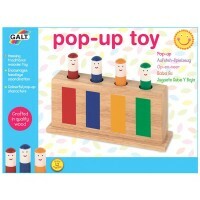 Rating: 4 Great toy by Jessica G This pound a peg toy is a great toy to practice gross motor skills. It's a modern, colorful spin on a classic toy. 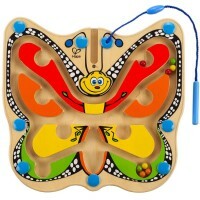 These types of high quality wooden toys are fabulous and will last for years to come. 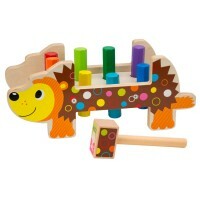 Melissa and Doug makes the greatest, most durable wooden toys out there!